We are very excited to work with Alan Askren and Richard Leap as we expand our brand deeper throughout the Indianapolis Metropolitan area. Askren and Leap come to us with over 40 years of termite and pest control experience and we look forward to the knowledge they will add to our team.The benefits of this partnership will continue and strengthen our abilities to understand and meet the needs of our clients throughout Indiana, Illinois, Kentucky, and Wisconsin. 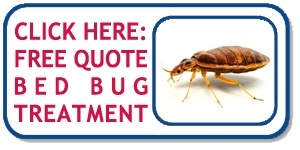 Franklin Pest Solutions was established in 1929 and provides pest and termite control services throughout Southwest Michigan, Northwest Indiana, Central Indiana, Southern Indiana and the Louisville market. 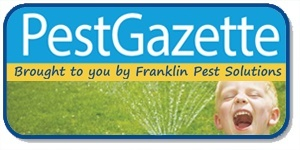 Franklin Pest Solutions is a proud partner of Rose Pest Solutions located in Northfield, Illinois with offices in the Chicagoland area, Rockford, and the Greater Milwaukee area. The company has been family owned since being established as America's first documented pest control company in 1860. Being a family owned and operated company helps us maintain the highest standards of work ethic, reliability, and promise to deliver a personal experience tailored to unique needs. Pest problems can happen to anyone and we understand how stressful it can be to find yourself in a vulnerable position. We're dedicated to providing you with conscious solutions and peace of mind so you can get back to enjoying the more important things in life. With options like Franklin's Healthy Home Maintenance Program(HHMP) your home is protected 365 days a year from over 10+ common house pests such as spiders, cockroaches, wasps, mice, rats, etc. Any pest sightings between services are handled at no additional charge. We also have great options for termite control, mosquito control for backyards, and bed bug control. Under our watch, your home and family are safeguarded from pest threats of all types. Satisfaction guaranteed! Here at Franklin Pest Solutions, we love every chance we get to connect with our community and empower all ages with education and engagement. If you are curious where you can find Franklin Pest Solutions in Indy, search no further than the beloved Indianapolis Children's Museum (ICM). We are currently sponsoring a DC Super Heroes interactive exhibit that encourages children to learn together while empowering their individuality. Our friendly bat mascot Buffy made a special visit to the museum recently while StellaLuna was playing in the museum theater. Check out our Instagram page to see Buffy flying around ICM and checking things out. For more information on Franklin's Partnerships, pest control, or upcoming events keep in touch on social media with the buttons below.